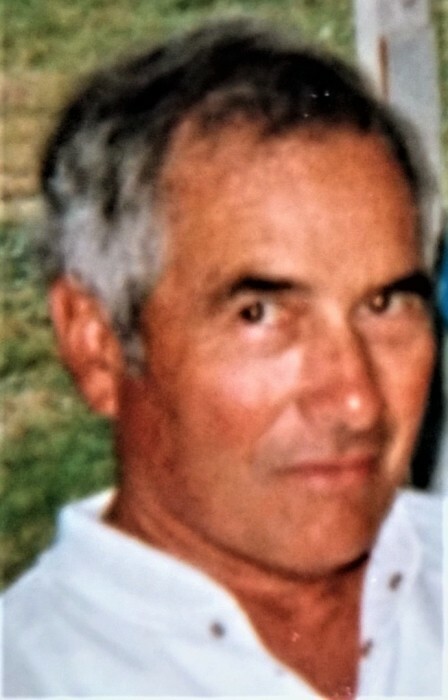 Bruce Newell Winslow, 87, of Kersey, PA, passed away March 15, 2019, at the Ridgmont Personal Care Home of Ridgway, after a short illness. He was born on September 6, 1931, and was the oldest son of the late William K. and Elizabeth (Newell) Winslow. As a young boy, he lived at the Winslow Hill family homestead and then moved to Caledonia. As a teenager, he made several trips to Kersey with his favorite car where he dated Thelma Palmer, and they were eventually married on August 27, 1951. Thelma, his beautiful and loving wife, passed away on June 27, 2007. In addition to his parents and wife, Bruce was preceded in death by: his brother, Walter Winslow; sister, Donna Woodring; and sister, Garnet Taylor (Mrs. Phil Taylor). Bruce’s surviving brothers and sisters are James (Jim) Winslow of Caledonia (spouse, Donna); Gary Winslow of Benezette, William (Bill) Winslow of Albuquerque, NM; Rena Chileski (spouse, Andy) of Byrnedale; Phyllis Ann Owens of Oberlin, PA; Kathleen Agosti of DuBois; and Janice Wright of Penfield. Also living are Bruce and Thelma’s three children and grandaughter: DeEtta Winslow of Trinity, FL; Gregory Winslow (spouse, Gail) of Rockton, PA, and Patricia Strayer (spouse, Lynn Peter) of Mountville, PA. Granddaughter, Sarah Winslow, brought much joy and love to her grandpa’s life and he was a very proud grandpa, indeed. Of course, we can’t forget about granddogs, Hannah, Luna and Bella and Bruce’s beloved “Skitty Cat” who is well taken care of and missing her grandpa. Bruce was a heavy equipment operator and this was also his passion as a hobby. He worked for a variety of coal companies in the area on large draglines and told many a tale of his perilous escapades digging up coal. His other hobbies included working on his saw mill and fishing for native trout at Dents Run. In addition, he enjoyed watching his favorite pastor on television. The family will be receiving family and friends on Saturday, March 23, 2019 from 12:00 pm to 1:00 pm at the Ralph M. Geer Funeral Home, Penfield, PA. A memorial service will follow, 1:00 pm at the Funeral Home with Pastor Howe.